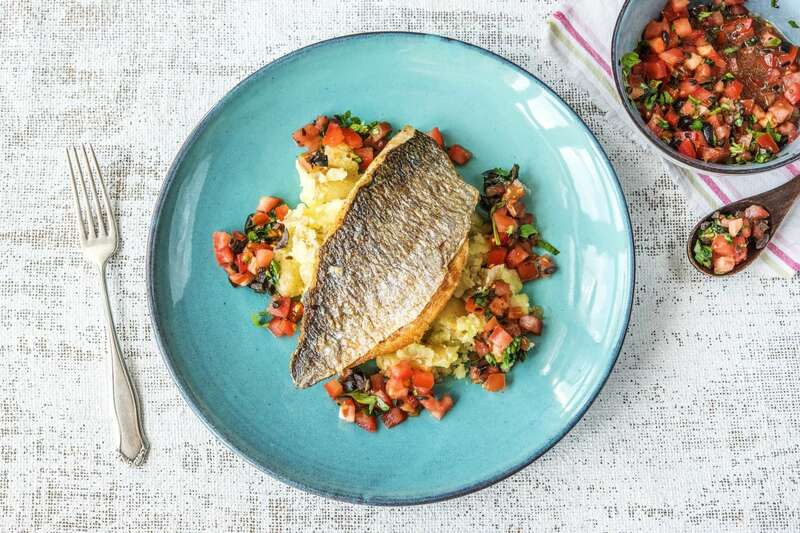 Now here's a dish to bring the sunshine! It's British Tomato Week so take a moment to appreciate the beautiful little number from our friends at The Tomato Stall which have been grown on the Isle Of Wight. A little honey in the dressing really brings out their sweetness. Cook the fish at the end, when everything else is ready so it will have perfect crispy skin and pearly flesh. Enjoy! Put a large saucepan of water with a generous pinch of salt on to boil for the potatoes.Cut the new potatoes in half (no need to peel!) and add to your pan of boiling water. Cook until soft, 15-20 mins. 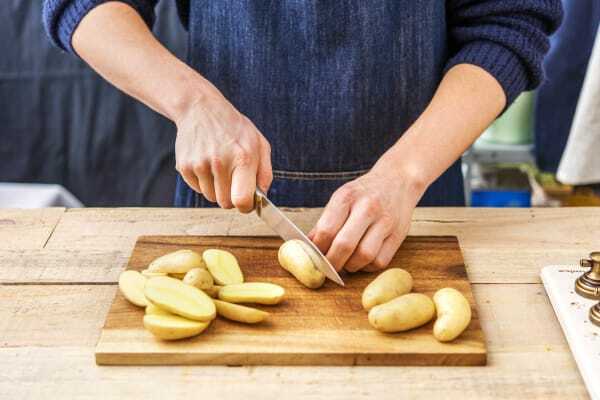 TIP: The potatoes are cooked when you can easily slip a knife through. Chop the vine tomato into 1cm pieces. Roughly chop the olives and basil. 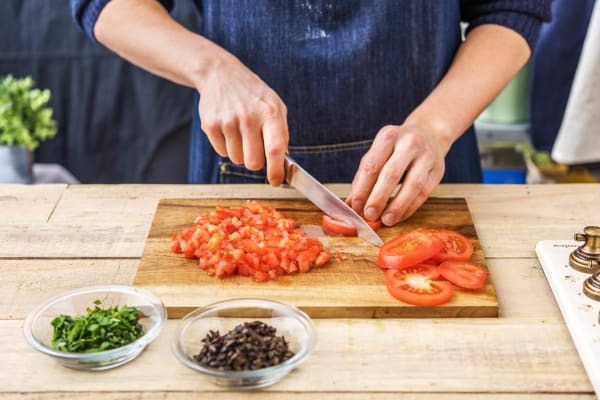 Put the honey and red wine vinegar into a bowl with the olive oil (amount specified in the ingredient list) and whisk with a fork. 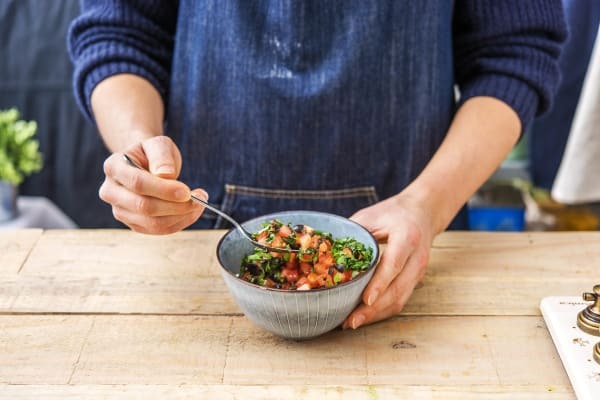 Add the tomato, olives and basil to the bowl with a pinch of salt and a grind of black pepper. Mix together and leave to the side. TIP: The seasoned tomato will give out a lovely juice which is DELICIOUS! Once the potatoes are cooked, drain in a colander and leave for a couple of mins to let the steam escape. Pop them back in the pan. Season with a pinch of salt and a grind of black pepper. 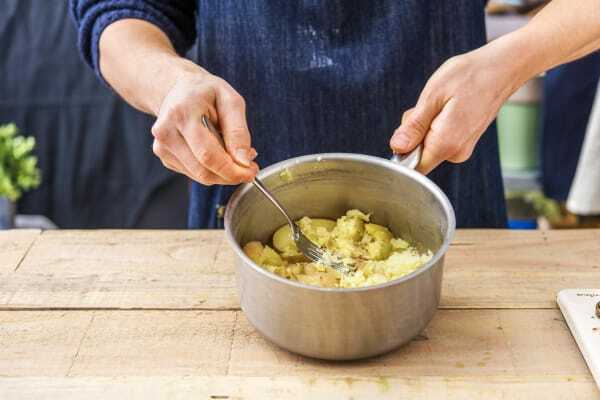 Lightly crush the potatoes with a fork (don't mash though!). 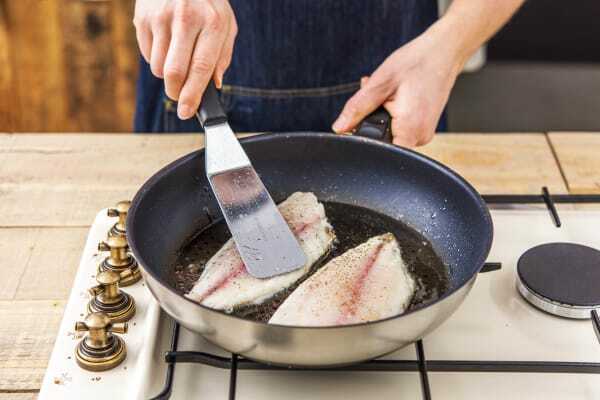 Put a lid on and set aside while you cook the fish. 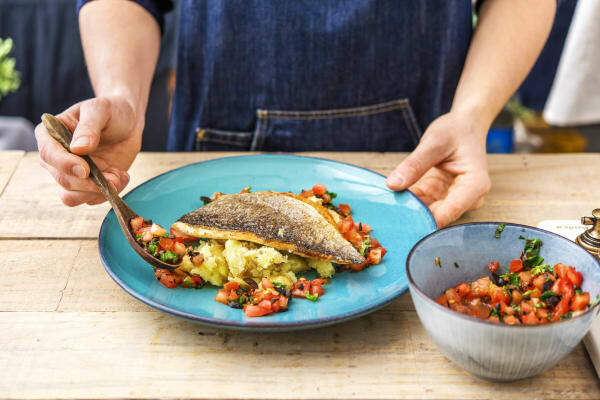 Spoon some of the crushed potatoes onto plates, top with the bream and serve a generous spoonful of the sweet tomato salsa on the side. Enjoy!